Riding a motorcycle is inherently dangerous. Unlike cars, bikes offer no protection in a crash and the rider will undoubtedly be thrown off. Even slow-speed crashes can cause serious head injuries; for that matter just tipping over at a complete stop can cause injury. Imagine tipping over on a 700 pound cruiser with your leg caught underneath it. The best way to protect yourself is to wear good riding gear. For many riders the thought of wearing full gear every time they ride is a nuisance, but then again so is a trip to the hospital. You’ve all seen those people wearing nothing but a t-shirt and shorts while riding on a hot day, but imagine riding 45 mph down the street in that same outfit and getting knocked off your bike by a distracted driver. Picture your skin dragging on the asphalt for 30 feet before your body finally comes to a stop. The same goes for any passenger you might be carrying as they become your responsibility the moment they climb onto the back of your bike. Here’s a list of what every biker should be wearing on every ride no matter how long or short the journey. The pavement is no softer in front of your house than it is 100 miles away. Accident data overwhelmingly points out the benefits of helmet use. I also highly recommend full face helmets as opposed to half or 3/4 models because they can save your face and jaw in an accident. Look for a helmet that is DOT, Snell or ECE approved. There was some controversy created in 2005 about whether or not Snell’s M2005 standard made helmet shells too stiff, but Snell’s new M2010 standard resulted in a softer (more impact-absorbent) shell more in line with ECE standards. When you buy a helmet, keep in mind that each make and model of helmet fits a particular head shape better. Some are better suited for rounder heads while others are made for oval heads. When I mention head shape, I’m talking about the view of your head from above. Try a few different ones on and compare the differences. If it’s too tight on your forehead but not tight enough on the sides, get something else – it should have even pressure all around your head. It’s also important to get a snug fit – one that almost feels too tight. The pads will loosen with use, so the right helmet will definitely feel tight at first fitting, like your aunt is squishing your cheeks at Thanksgiving dinner. I bought an XL for my first helmet because it felt comfy in the store, but it ended up being too big in the long run. Some people ask me about used helmets, but buying used is risky. A helmet’s purpose is to absorb impact forces – but one that has been dropped or used for some time will not have the same effectiveness as a new one. Just dropping one from five feet, when you’re taking it off for example, can compromise a helmet’s integrity. To eliminate all risk, buy a new helmet from a reputable merchant. 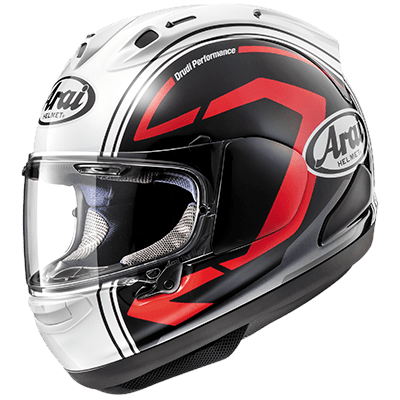 Most manufacturers also recommend getting a new helmet every few years (not so surprising for a maker to encourage you to buy more often, but better to play it safe). As a side note, expensive helmets are not necessarily more protective than cheaper ones. A 2005 Motor Cyclist article exposed some interesting facts about helmet safety; the most effective helmet in their tests ended up being under $100. More expensive models do tend to offer better workmanship, ventilation, liner materials and other niceties, but that doesn’t necessarily mean they’re better at protecting your head. But don’t assume every $100 helmet is a good one either; many of them are not. 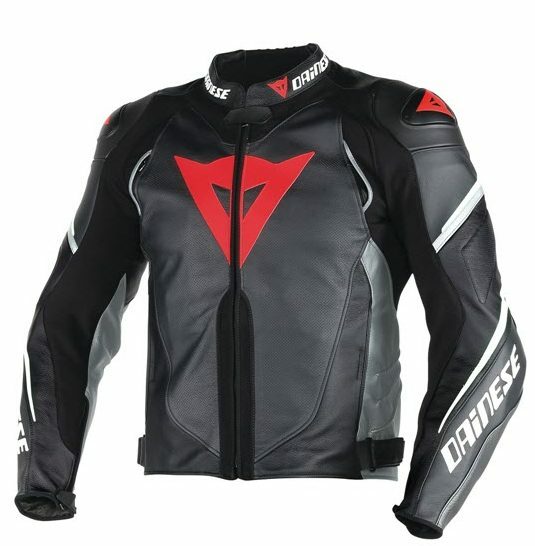 Look for a motorcycle-specific jacket to properly protect your upper body. Motorcycle-specific jackets are thoughtfully designed for riders. They don’t turn into parachutes when you’re riding. Good ones have zippers tucked away to avoid scratching your gas tank. They’re designed for abrasion resistance and some have armor and padding to soak up impact forces. They have pockets in the right places. 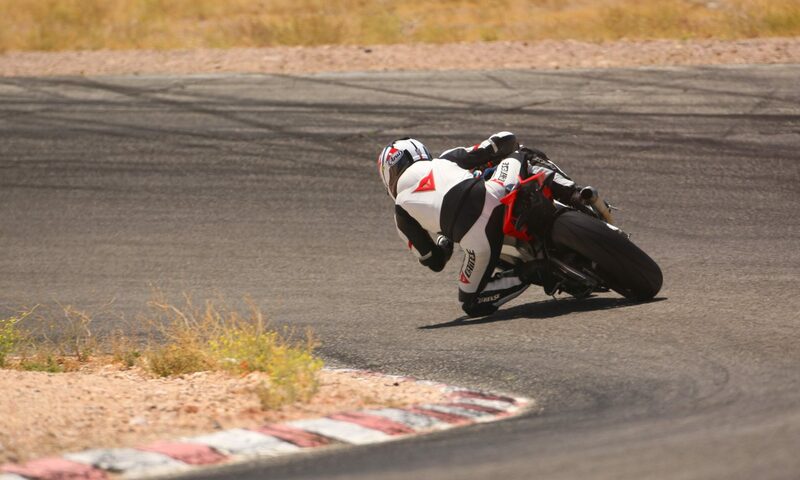 If you’re a sport bike rider, they’re designed for the riding position – i.e. they fit best when you’re leaned forward on the bike. Leather does the best job of abrasion protection and can usually survive all but the worst of accidents in tact. Textile jackets are a decent alternative and come in many varieties for all types of weather, but are not as protective against abrasion and likely should not be worn after a crash. 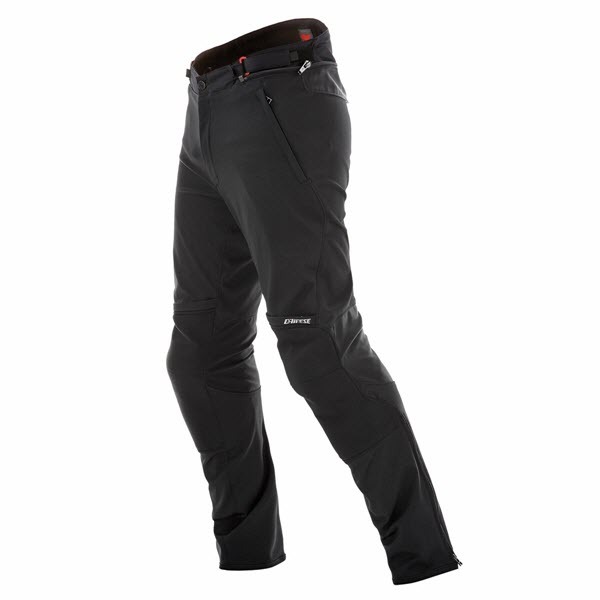 Look for pants that are made specifically for motorcycle riding; they’re cut differently for the riding position (e.g. 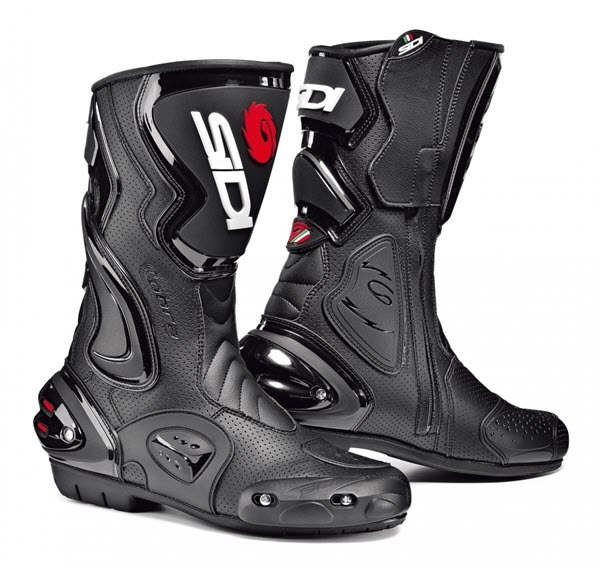 they won’t expose your ankles while riding) and some offer knee and hip padding for added protection. As stated above in the jacket section, leather is the best material when it comes to abrasion resistance but there are several good textile alternatives for all kinds of weather. Many can also be worn as overpants; e.g. they can be worn over work-appropriate pants if you ride to the office. You’ll see a lot of people wearing plain old jeans while riding, which unfortunately don’t offer much protection at street speeds or higher. Standard denim does almost nothing to prevent road rash and its fibers will quickly disintegrate in a slide. There are jeans made specifically for motorcycle riders; they offer superior abrasion resistance thanks to integrated Kevlar and other materials. Look for reinforced riding jeans if you insist on using denim. Your hands are so important in daily life it’s unthinkable to leave them unprotected on a ride. Almost anything is better than going barehanded, but look for gloves that cover your hands completely and are built for motorcycle riding. It’s our instinct to stick our hands out when we fall, so get something that looks like it’ll survive being dragged on the pavement. Many gloves have reinforced palms and knuckles; gauntlet-style gloves feature a full wrist enclosure for even more protection. Straps instead of laces, or a device for tucking laces away. Laces can get tangled in the foot controls or other parts (ask my friend who put a hole in his foot after falling over with his sneaker laces caught in the pegs). Non-slip soles so your feet don’t go out from under you while supporting your bike or trying to move it. Molded ankle protection in case your bike goes down with your leg caught underneath it. Reinforcement on the top of the left foot to prevent wear from the shifter.